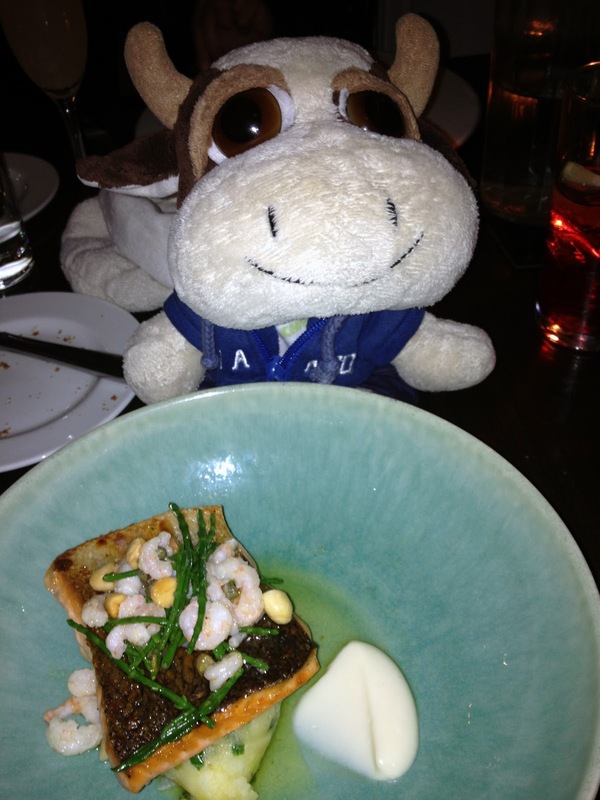 ﻿﻿I ordered the organic salmon, which was cooked to perfection, fork tender with virtually no chewing required. The girl ordered Irish feeb which she said had a different taste profile from Alberta feeb, as it was much leaner, yet was not grainy feeling. Along with her feeb was bone marrow stuffed with earthy tasting mushrooms, and a sweet truffle mash that although had a strong truffle flavor to it, was not overpowering. For dessert, we had a warm chocolate tart, made with dark chocolate that was rich and smooth, like eating warm chocolate ganache. Topped with pop rocks which kept popping in my mouth as I ate. The ice cream was mildly sweet, caramelly and with a wonderful hint of salt. 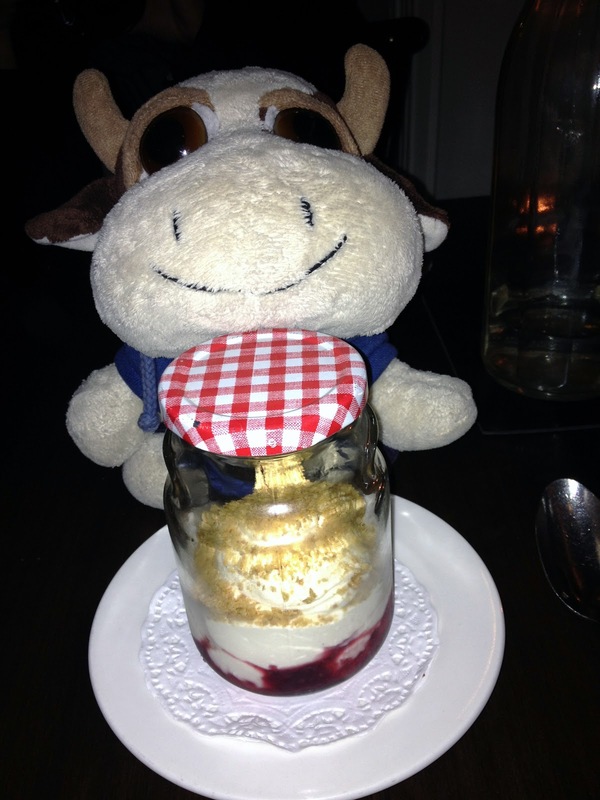 The clear winner of the night however was their cheesecake in a jar. Lightly sweet fruit on the bottom of the jar, ensconced within a large mound of extremely creamy, light, yet rich cream cheese, and topped with crumbled biscuits. The components eaten together in one spoonful was heavenly. We enjoyed the cheesecake so much that we came back the night before we left just to get cheesecakes to go. If you are ever in Dublin, make sure to check out The Pig’s Ear, you won’t be disappointed.